A decade ago, no one would have thought of a career that can earn a generous amount of money by just playing music. Disc Jockeying (DJying) is one such profession that can sate your passion for music as well as earn you enough to make a living. Individuals involved in this field of sound, rhythm and music are called Disc or Disco Jockey or simply and more commonly DJ (deejay). The term Deejaying was first used to describe radio announcers who would introduce and play popular gramophone records popularly known as discs. As these records were jockeyed by the radio announcers, they were named as disc jockey and soon as DJs or deejays. Ray Newby from California is considered as the world's first DJ in the year 1909, but the term Disc Jockey was invented in 1935 by an American commentator, Walter Winchell. During the nineties, DJs became a part of gatherings and within a short span, their popularity increased and Disc Jockeying soon emerged as an exciting career option. Disc Jockey alias DJ can be considered as a showman who entertains the crowd of a discotheque, night club, party or an event by playing music according to the tastes and preferences of the people present there. They liven up parties by mixing tunes, forming beats and creating the right ambience. For that DJ's need to understand the mood of the audience, the performance setting, the preferred medium and know how to manipulate sound. They should also focus on beat- matching to keep the tempo of the party going. 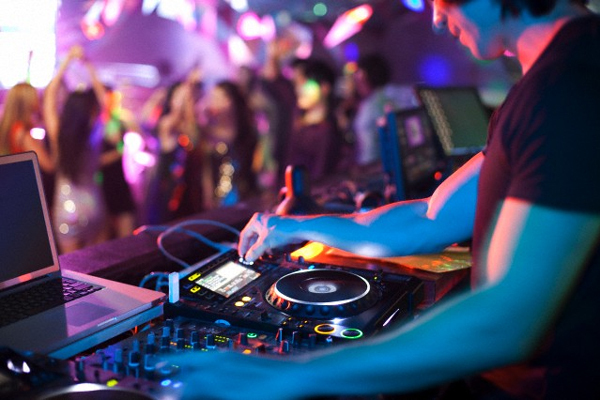 Though more regularly in clubs, hotels and discotheques; DJs are also hired for entertaining guests on various occasions such as wedding, engagement, birthday party, school/ college functions or any other social gathering. DJying is a profession that can be learned with experience on the floor. DJs should always keep in mind that only their skills and reputation will bring future opportunities to them. Their reputation usually spreads through word of mouth. One can be a successful DJ, if he/ she can leave a good impression on the people, so that their names will be recommended to others. In India, the profession has gained a lot of potential during the last three-four years, especially in main cities with the ever increasing number of social gatherings and parties.